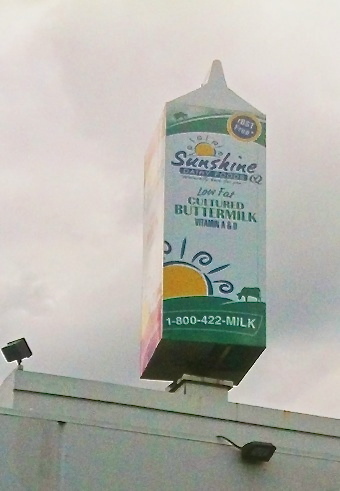 I like giant things like oversized milk cartons that rotate and gigantic roadside attractions. 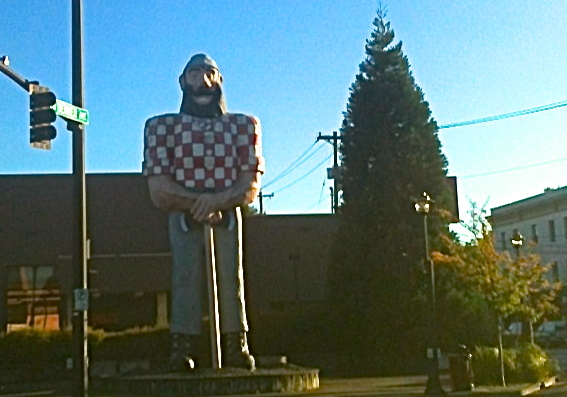 Was that the subconscious pull that caused me to move to the Kenton neighborhood with it’s towering Paul Bunyan Statue a block away? He’s the rival of tall tire guys and 30 foot Indian statues the world over. On a clear day, we can see the pom pom on his hat from our master bedroom. The giant milk carton is a thing of beauty. As it spins, four different types of milk are revealed. You could spend an afternoon watching it whirl at the Sunshine Dairy plant in NE Portland around 20th St. Look for the building with the milk carton on it. The milk carton plays a minor role in the following video. The milk carton cameo is at 1:58. 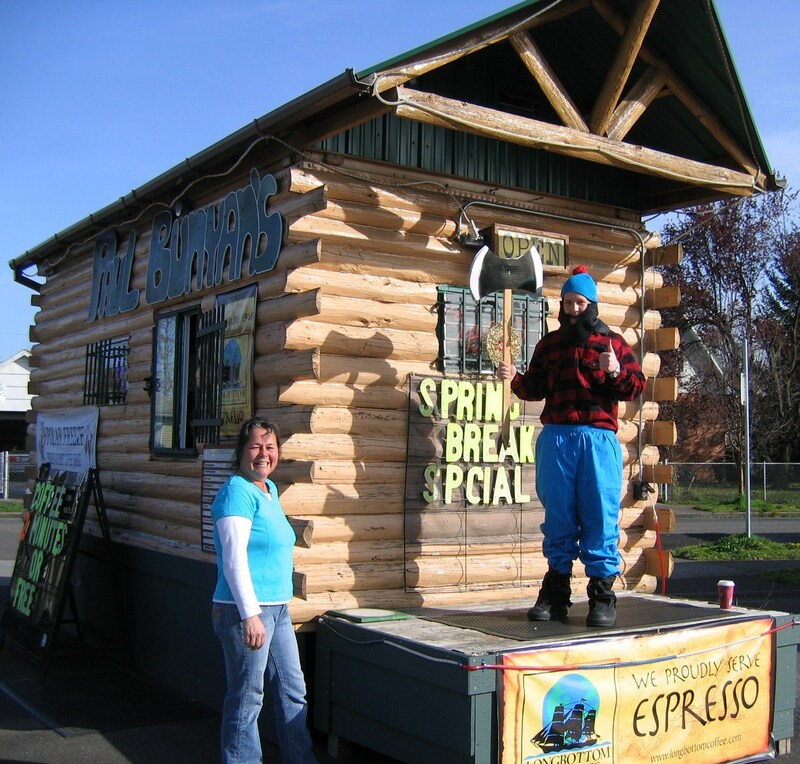 Kenton residents might remember Paul Bunyan’s coffee cart.